Succumb to this cat on a metal wall decoration ! The famous ball of fur in a modern metal wall deco! The dimensions of this trendy wall decoration are 62 x 50 cm. The delivery is free in metropolitan France and Belgium for this cat design wall deco. 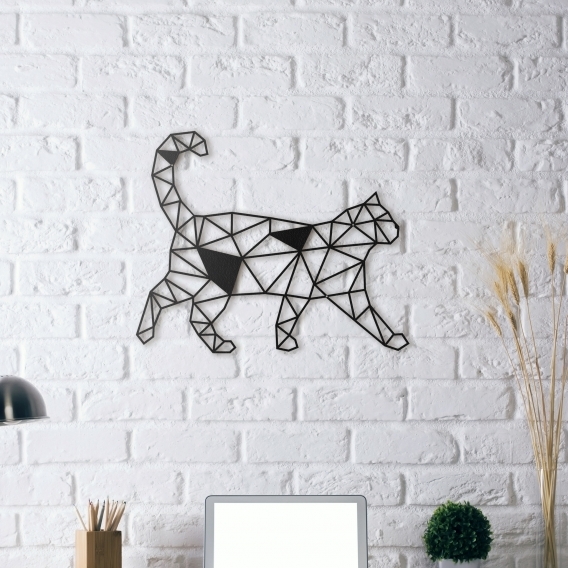 The soft-pawed feline is found on an entirely metal design wall decoration ! 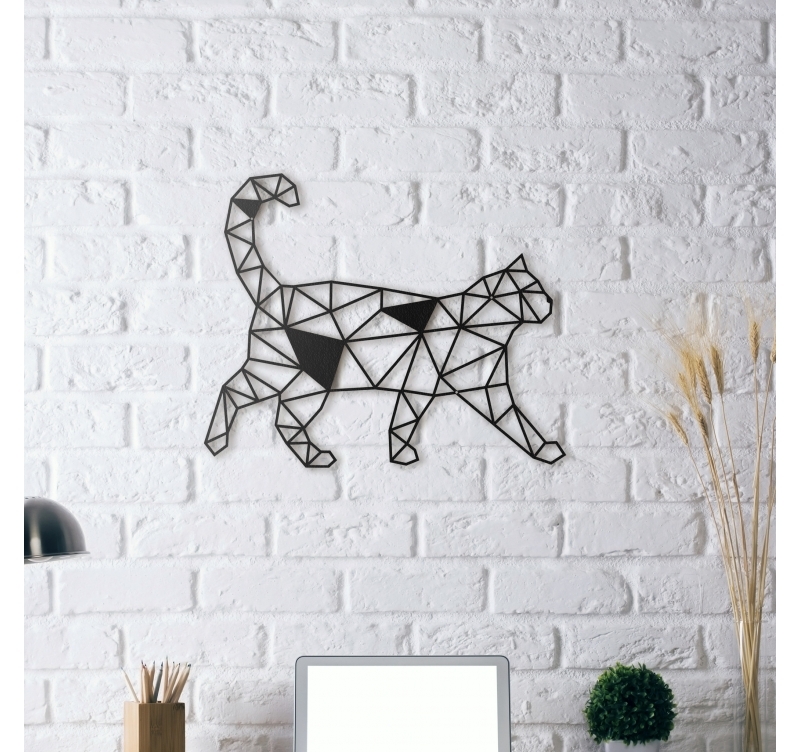 For all of you cat lovers, this design metal decoration will fill you with happiness with its contemporary design and innovative lines. Once on your wall, this metal wall decoration will not let you out of its sight and will bring a modern touch to a large white wall. Dare metal with this Zen wall decoration ! All our animal design wall decorations are hand made by our creators and treated with a black finish for a long lasting quality. 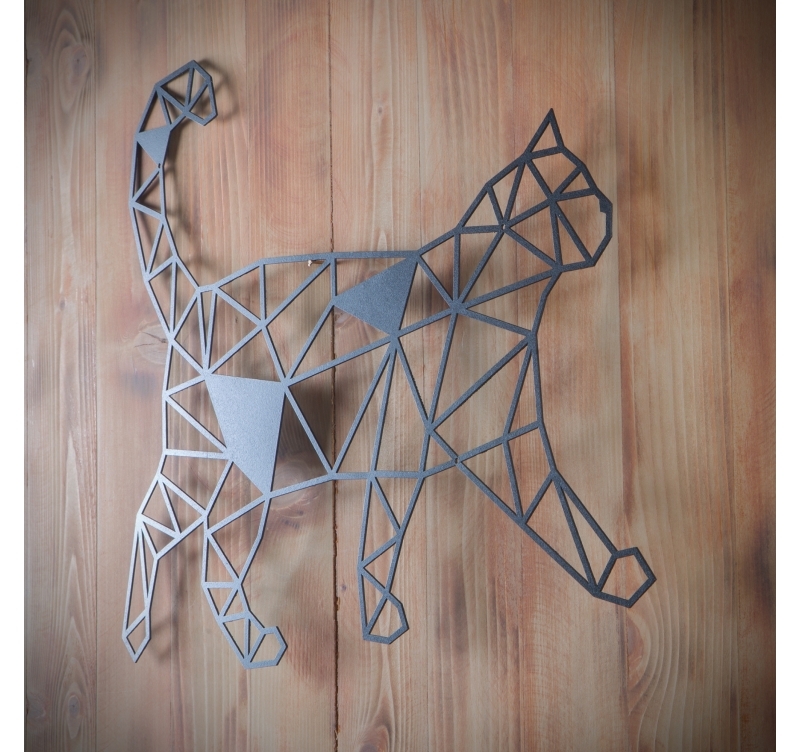 This cat metal wall decoration is wrapped in foam and inside a protective cardboard box for a safer delivery.